I just wanted drop a quick note that we’re a little busy at the moment, and can’t really take on any new customers unless you are referred by our previous customers or friends. We’re a small team, and because our focus on service quality unfortunately also limits us to how many people we can help at once, if we would take on all of the 300-500 requests that fly in per mail/phone/text every month we could still only devote 38 minutes to one customer even without sleeping. I have compiled a list with all the other people if you’re really in a rush right now, can’t wait and don’t have a referral. Also feel free to question me (oliver) at any time about suggestions and more and if we can’t help you directly we may be able to point you in the right direction! Be happy for us :’-)? it’s a more preferable problem to have. Want to help us handle more? We need the most amazing, determined worker-bee, who is bi-lingual and preferably has a good sense of humor (sarcasm counts double) as a new Assistant. So just shoot us a note or forward this to your friends, if you think they’d be interested in joining. A picture says a thousand words, then a video at a frame rate of 30 per second should uhm, ok, I admit, too much math for me. I believe we can all agree that video tours of the houses are helpful, and these houses are fantastic, making the videos awesome ;-p.
Loft a la French Concession, nestled on Hunan Road and Gaoyou Rd in the heart of Shanghais French Concession. 2 Bedrooms, 2 Baths, Living Room and open kitchen. Asking 20’000 Rmb per month. 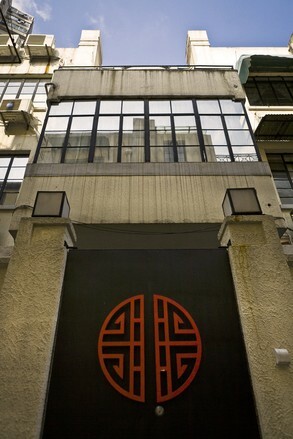 This Anfu Road Art Deco Apartment for rent, is possibly one of the coolest spaces we ever had available. Asking 32’000 Rmb per month. Contemporary Taiyuan Road Apartment Loft with charming features and high quality renovation throughout. 1 Bedroom, 1 Loft, 2 Baths, big Living Room Lounge, open Kitchen and Communal Garden. 96 Square meters, Asking 24’000 Rmb per month. located on Xinhua Road near Huaihai Road with amazing rooftop Terrace. 4 Bedrooms, 4 Baths, Siemens Kitchen with all built in Appliances, huge Living Room and lot’s of Sunlight. Asking 55’000 Rmb per month. Happy New Year to all of you! Thank you for 2011 and let’s toast to another great year! We just wanted to come out and thank you for this great year! Just like all the years before you’ve helped us beat the previous one in awesomeness once more. and most importantly helped a lot of new people find their home (or change their homes) in Shanghai. To be exact, 62 of you! Not bad for such a small firm eh? And in 2011 we also launched shanghaioffices.com, 9 companies have found their offices with us since the start of Shanghaioffices this Summer. We also just redesigned the page, and we’ll make sure, that just like on shplace for housing, you’ll find out about the most unique and coolest offices in Shanghai on www.shanghaioffices.com. So one last wish from us, since it’s christmas and all. You know social media and facebook is the new fancy, and you know us, we like the fancy, for that we’ll need for you to like us on facebook and tell your friends! or click “like” below if you’re already logged into facebook. where exactly this time I don’t know. But for those of you who remember last year, we’re at m1nt, expected 30 people but ended up with about 70. If you can, this time, let me know in advance. Not that you are not welcome to stumble in at 2am, anyone anytime. Just for logistics sakes, RSVP. Oh and if you haven’t signed up for our newsletter, which will keep you updated about the hottest properties before they even become available, just do it on the top right, enter your email and confirm! and what it is like to purchase, renovated and live in a historic property in the French Concession. Turned out great, with lovely pictures, and there even is a small mention of SHPlace . An American couple eschews high-rises and renovates a traditional lilong home. Just wanted to let you know you can sign up for our newsletter to know about the greatest places before anyone else (that doesn’t subscribe to us ), find out about events, and parties, new places, get discounts of all kinds of stuff we deem worthy of you and much more. Oh, and you can also follow us on facebook.com/shplace where we update and answer all your questions, post about events and parties, of course let you know about upcoming places for rent and every once in a while, give out awesome stuff to our fans! If you’re the short message type, follow us on twitter! @shanghaiplace Cheerios! So Freeman (Scott Cao) and I have been working on something this holiday, connections are always better outside of the country so we tried to make the maximum use of this. It’s a map! Using Google Maps we’re going to put everything useful for you to live in Shanghai on one map. Places to live in, Restaurants, Schools, Kindergartens, Consulates, Office Locations and much more. Please drop us a line if you feel anything has to be added, this will be a work in progress, for, well…, ever. Once we’re done you can find it under our Guides Page. Oh, and while we’re at it, have you liked us on facebook yet? Facebook.com/shplace is the URL or you could just click below, you know, just like any attention seeking boys, what we’re really looking for is your approval. Please, please give it to us and you can also read lot’s of ressources, share things with your friends, ask us any questions, read our facebook letters and make free use of our material as well as win some of the awesome things we give out to our facebook friends! Just wanted to come out and wish everyone a happy national day holiday! We celebrate today China’s Founding 61st birthday since it’s official founding on October 1st 1949! It’s today, it’s sort of a happy and an unhappy day for me, I think the Moon Festiaval’s gotta be one of my favorite chinese holidays, simply because I love Moon Cakes “ye rong” flavor in particular, and “xin ren”. However they’re harder and harder to get after the day (today) has past. Click for more, if you’re interested in how we came to this wonderful holiday!. Happy Moon Festival to all of you. On behalf of the SHPlace Team.